Please schedule and pay for your Angel Reading below. Appointments need to be made 24 hours in advance. If you have any questions, please don't hesitate to contact me here. I am so looking forward to spending time with you and the Angels. 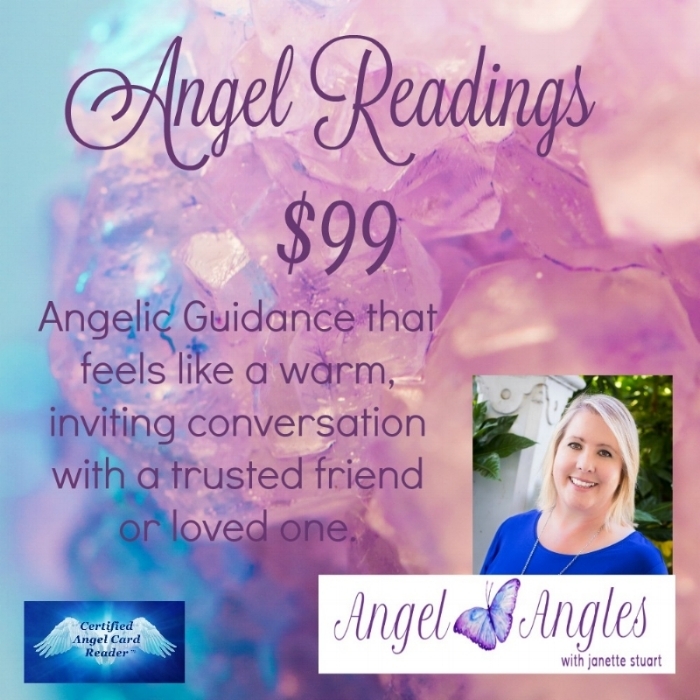 Click on the date and the time you would like to schedule your Angel Reading. Then click the "Continue" button and you will be directed to fill in your first and last name, the phone number you'd like to use for the call, and your email address. Click the "Pay Now" button and enter your payment information.